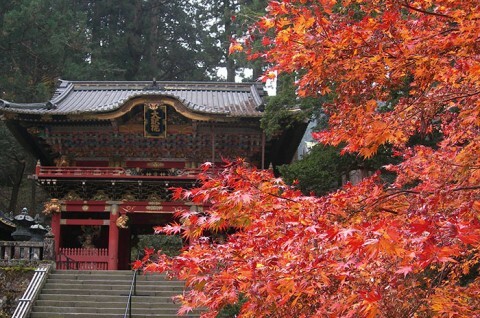 The shrines and temples of Nikko are beautiful in every season with cherry blossoms in spring and snow in winter, but they are their most beautiful in the autumn. The bright red colors of the structures and the red of the autumnal leaves complement each other. Autumn is also the season when the structures are lit up at night. The view of autumnal leaves glowing at night is sure to be a pleasant memory from your trip to Tochigi.